Planning a wedding or event and don't know where to start? One of the biggest first steps is finding your vendors! 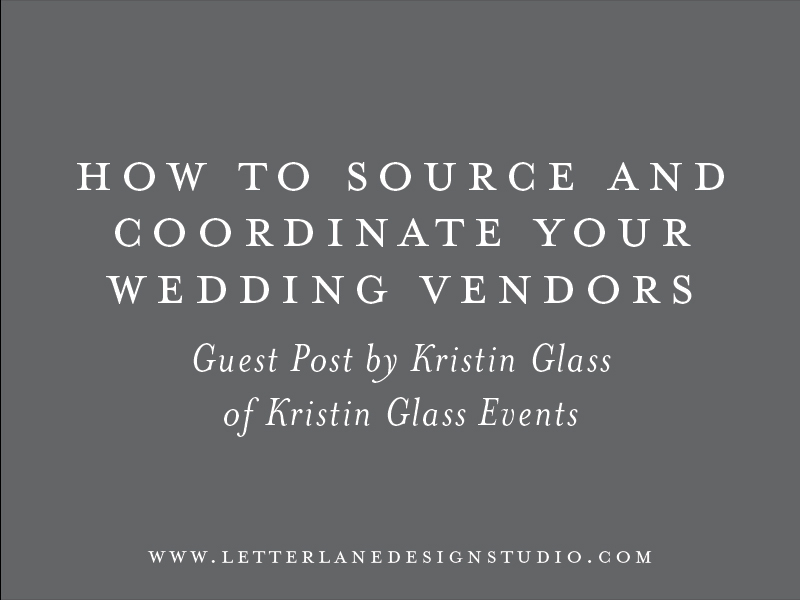 Today, I am welcoming my friend, Kristin Glass of Kristin Glass Events, to the blog to discuss everything you need to know about how to source and coordinate all of the vendors for your special event. What You Need to Know Before Sending Out Your Wedding Invitations + A Free Checklist! Wedding planning is hard. Choosing a date, a venue, bridesmaids, deciding who's invited and who's not... etc. But when it comes to your wedding stationery, if you follow the necessary timelines leading up to your big event, you'll be in excellent shape on that front. Today, I am welcoming my friend, Amanda Saturday, to the blog to discuss everything you need to know before you send out your save the dates and wedding invitations.